I have been playing electric bass since the early Reagan years. 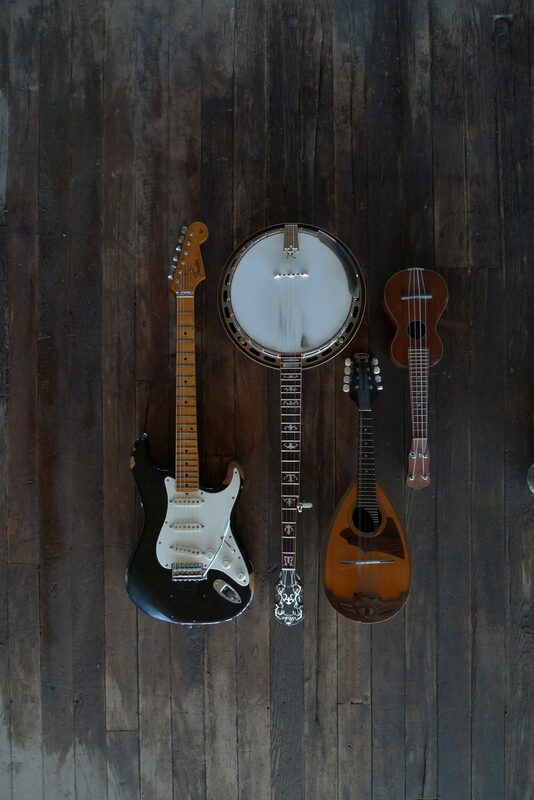 I use fingers, thumb, or a flat pick depending on what the music needs (each of these techniques brings out a different musical feel and tone). I can teach you to do the same. If you’ve heard that bass is easier than guitar, that’s partly true, some of the time. Other times it’s not true at all. Skills are needed, such as a highly developed sense of rhythm and form, things most musicians need more of. That said, if you can play any other string instrument it will likely be easy for you to start playing some simple things on the bass. It’s great for any musician to know how bass lines are built. I like to start easy with The Ramones. That will teach you a lot, and there is a lot to know from there. 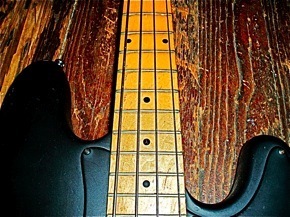 This bass has many-years-old flatwound strings (they start out round but get ground smooth in the manufacturing process) on it—they give it a thumpy, heavy sound as opposed to a bright brassy sound. Some players like newer, brighter-sounding roundwound strings…some don’t. I got the idea to try these strings from hearing and hearing about James Jamerson—the guy on virtually all of the Motown recordings. He’s credited with using the same set of strings in long sessions for years on end to get this effect. It almost sounds like an upright bass. 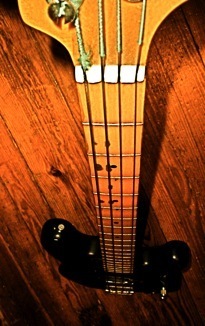 And yes, that is black spray paint on a 1970’s copy of a Fender Precision bass.